If you have a huge collection of your favorite videos on DVDs, then you are restricted to enjoy watching them only when there is access to a DVD player or PCs with DVD playing options. So to make your videos compatible with all types of media players and devices, you can convert DVD to MP4. Having your files in digital format after DVD to MP4 conversion not only prevents them from physical damage but also facilitates them playing anywhere, anytime. To handle all your queries on how to convert DVD to MP4, we have shortlisted the best 4 methods. There is a long list of conversion programs and tools available. But if you do not want to compromise on the quality and looking for the best option to extract DVD to MP4, Wondershare UniConverter (originally Wondershare Video Converter Ultimate) is there for you. This professional software is a complete video toolbox that supports video conversion, editing, recording, downloading, and DVD burning. 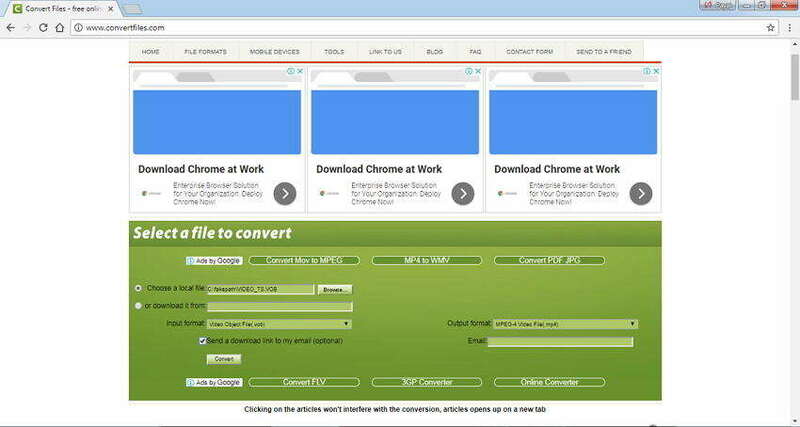 The program ensures super fast conversion speed without compromising on the quality. In addition to ripping DVD to MP4 Windows 10, the program is also available for converting DVD to MP4 Mac. DVD into MP4 conversion takes place at 30X faster speed than other tools. DVD files can be loaded directly from the inserted DVDs or from PC. Facilitates to convert home DVD to MP4 without any loss of video quality. Built-in video editor facilitates video editing with a number of tools like cropping, trimming, cutting, and others before DVD to video conversion. Batch processing for converting multiple files at a time is supported. In addition to MP4, DVD files can be converted to a number of other formats as well as devices. Simple and easy to use interface helps to turn DVD into MP4 without any hassles. Multiple features: Add video metadata, GIF maker, cast video to TV, VR converter and screen recorder, video downloader, DVD burner. Before proceeding with the below steps, insert the DVD that you want to convert into your PC. Alternatively, you can also copy the DVD on your PC if you want. Step 1 Launch Wondershare DVD to MP4 converter and add DVD files. Download, install and launch the UniConverter software on your PC. By default, you will enter the Convert tab on the interface. Click the inverted triangle next to Load DVD to open drop-down menu. Select inserted DVD that you want to convert. If your DVD files are present on PC, browse and select by hitting +Add Files. Step 2 Edit DVD files (Optional). 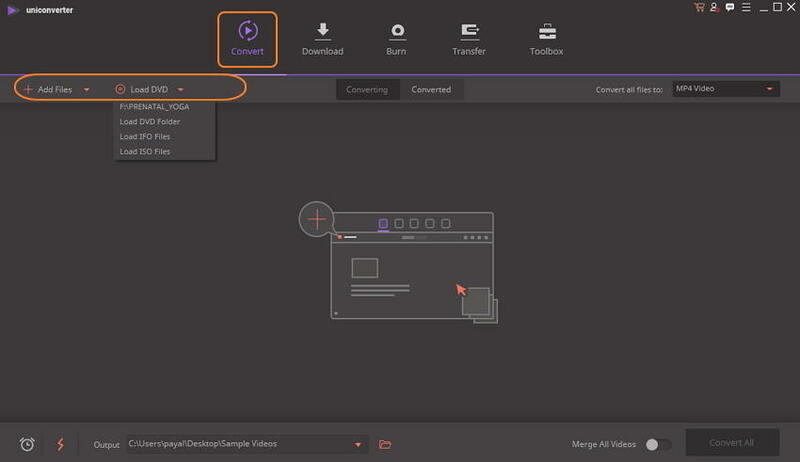 This is an optional step where you can personalize and edit the video before conversion. The icons for editing are present under the added video thumbnail. Click any one of the icons to open a new window. You can trim the video, cut the unwanted parts, add subtitles, and perform other functions. Once done, click OK/Save to confirm the changes. Step 3 Select MP4 as output format. At the top-right corner, open the drop-down menu next to Convert all files to: option. From the <Video tab, select MP4 and the file resolution. Step 4 Convert DVD to MP4. At the Output tab, select PC location where you want to save the converted MP4 files. Finally hit Convert All to start the conversion process. Note: To change the location or the folder on PC, just click Menu > Preferences > Location and change the folder. If you're a Mac user, you can download Wondershare DVD Converter for Mac, and follow the similar steps above to convert DVD to MP4 Mac. Another simple and straightforward method to convert DVD to MP4 free is by using VLC media player. VLC is a free and open source player that is portable and works on different platforms. In addition to playing your video files, the player also allows converting your DVD to MP4 as a free DVD converter for Mac. So if you are in search of a method that facilitates simple conversion without any need for downloading separate software, VLC is a good way. Step 1: Click the Orange and White traffic cone icon to open the VLC Media player on your PC/Mac. Step 2: Insert the DVD that you want to convert into your PC. On the top-left corner, click Media and from the drop-down menu select Open Disc. Step 3: A new Open Media window will open from where select the Disc tab and select DVD as disc selection. You can see the title of your inserted disc at Disc Device section. Step 4: At the bottom right corner, open drop down menu at Play option and select Convert. 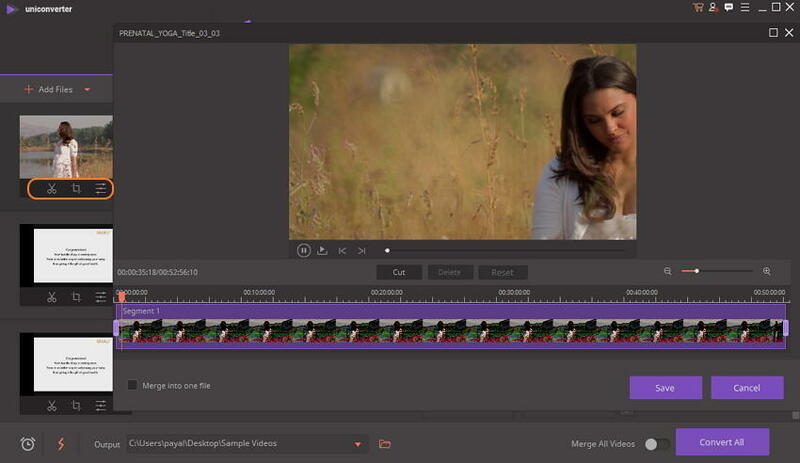 Step 5: A new Convert Window will open from where you need to select the MP4 at the Profile tab as output format. Select the name of the converted file, and its location on PC. Step 6: Finally, click Start to proceed with the conversion process. Depending on the size of your video, VLC will convert your DVD into MP4 format. Does not allow selecting the desired quality and resolution of the output file. Video editing features before conversion are not supported. Conversion controls are limited as compared to professional software. Conversion quality is not very good when compared to other paid programs and tools. Online tools are also a decent option to convert your DVD to MP4 and other formats if you don't install any software. Convert.files is one such program that supports a number of popular formats for conversion and can convert large VOB to MP4 online. Using this online DVD to MP4 converter, you can add the DVD files from your PC or can also add the download link for the videos. Popular formats for videos, documents, audio, images, archives, and others are supported for conversion. If needed, you can also get the download link to the converted file to your desired mail ID. Step 1: Open Convert.files on your PC/Mac. Insert DVD into your PC that you wish to convert. Step 2: At Choose a local file option, click Browse to search and add DVD files from your PC. Alternatively, you can also save your DVD to your PC and then add files. Step 3: Select MP4 as the Output format. Step 4: Enable the option if you want to get the download link after conversion. Step 5: Finally, hit Convert to start the process. You can download the converted file once DVD to MP4 online conversion is completed. No batch processing of multiple files is supported. No option to select and control quality and other parameters of the output file. The output quality of the converted file is average. If you want to know more VOB to MP4 online converters, just move to top 5 online VOB converters >> to learn more. Using Handbrake application is another widely used method to rip DVD to MP4 Mac & Windows. 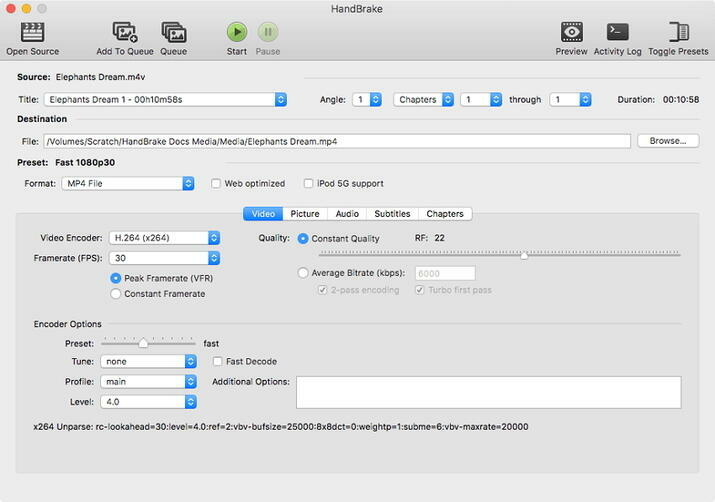 Handbrake is an open-source and free transcoder application that allows converting DVD into a number of formats like MP4, AVI, MKV, and others. The Mac DVD to MP4 converter is available for a number of platforms including Windows, Mac, and Linux and comes packed with features suitable for beginners as well as intermediate users. Third party libraries like x265, Libav, and lipvpx are used by the application. Step 1: Download, install and launch Handbrake application on your system. Step 2: Insert the DVD that you want to convert into your PC. Hit on the icon saying Source and then select DVD drive option. Step 3: Select Title and Chapters for the DVD files. The main title for the source is selected by default in case of non-commercial DVDs. Hit Browse to select the location where you want the converted file to be saved. Step 4: Choose MP4 as output format. 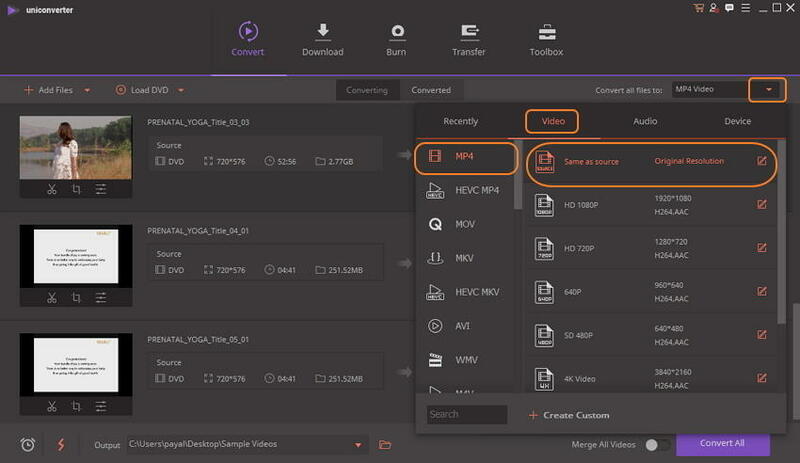 You can also select other file parameters like quality of the video, bitrate, settings, audio track, and others. Step 5: Finally, hit Start to proceed with the conversion process. The progress bar at the application will show the speed of conversion. The steps for windows and ubuntu convert DVD to MP4 are almost same. Does not allow converting protected and commercial DVDs. The interface is complicated to understand and use. A lot of users complain about compatibility issues while working with the application on Mac Mojave and other versions. DVDs can be converted to a limited number of formats. Thus considering all the above methods, their features and drawbacks, it can be concluded that Wondershare UniConverter is definitely the best choice to backup DVD to MP4. Download and have a free try now.